Note 3 Neo is a variant of the Samsung Galaxy Note 3. Launched in 2014, the phone has some pretty useful features and a massive 5.5-inch display. The price of Note 3 Neo ranges from Rs 15,000 – Rs 20,000. Powering the Note 3 Neo is a 1.7GHz hexa-core processor paired with 2 GB RAM. During the launch, was a really snappy and fast phone as compared to others. The phone offered 16GB internal storage which could be expanded up to 64GB. The battery on this device was one of the largest; 3100 mAH. Samsung Galaxy Note 3 Neo had good connectivity options like infrared, Wi-Fi, GPS, NFC, and Bluetooth. The screen on this phone was so big that some people misunderstood it for a tablet. The phone has a leathery finish on the back which gives it a premium look. Launched in 2014, this phone has great functionality and features. But in 2019, this phone doesn’t stand a chance even against the cheapest device. Therefore, if you have this phone and want to sell it, there is no better place than Cashify to do so. Cashify allows you to sell old mobile at the best price. It is way better than selling in the physical market because there are no intermediaries involved and hence the best price is guaranteed every time. 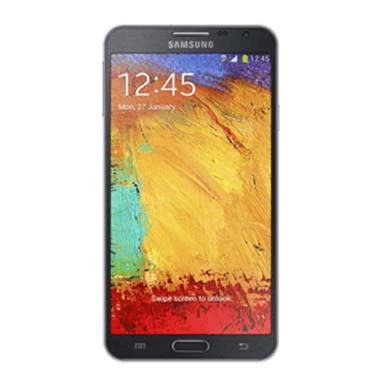 Why Sell Your Old Samsung Galaxy Note 3 Neo On Cashify? 2. Free pickup from home. So if you want to sell old Samsung Galaxy Note 3 Neo or any other old phone for that matter, just log on to Cashify and sell it in 3 simple steps. Cashify is the most trusted platform in India to sell mobile phones online and other gadgets for instant cash on pickup. Schedule a pickup now!